Well 2017, it was an adventure but I am ready to move on! I thought it would be interesting to choose four words last year: Fierce, Fueled, Fun, and Fulfilled. In reflecting, I excelled in being fierce and fueled, but came up short on being fun and fulfilled. I showed great ferocity in all the change that came in 2017 for sure. I survived building a house and moving, and changing jobs in 2017. Both took a fierce spirit for sure. I was fueled in my desire to make it all work out, and that I did, but as a result I wasn’t nearly as fun! What I was… exhausted, which I feel is quite the opposite of fulfilled. So I think I hit about 50% of my 2017 goal, which based on the year, is not too shabby. So 2018 l et’s just get back to the basics. 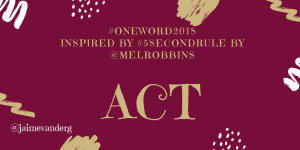 My #OneWord2018 is ACT. Three simple letters that were inspired by a TedTalk I watched that led me to more and more videos by @MelRobbins. 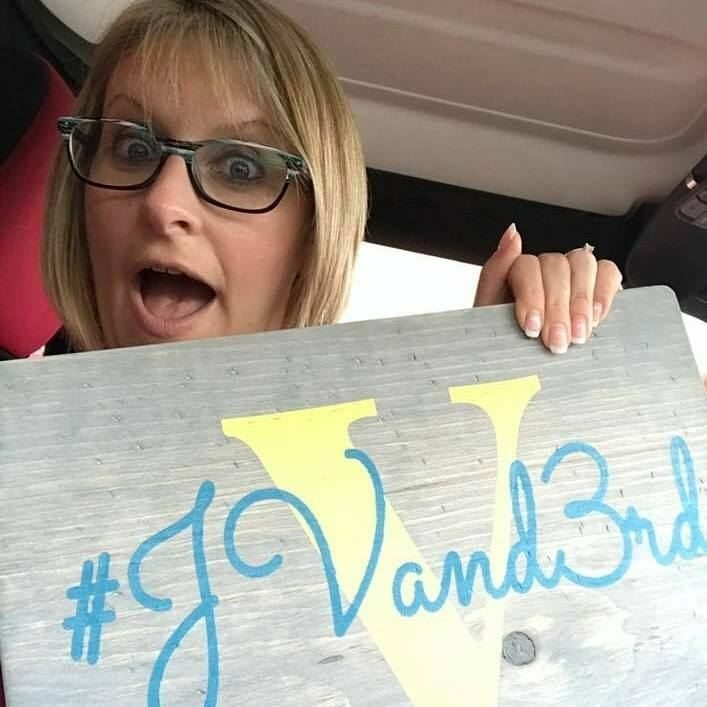 I was captivated by the message behind her #5SecondRule and the neuroscience behind it all. If you know me, you know I am a highly motivated individual for the most part. I am a real go-getter usually, but last year I lost that spark a bit. I didn’t do many of the things that I had in the past, and distanced myself from the things I had been so passionate about for so long. So I guess you could say I got a little lost. So one night I stumbled upon Mel Robbin’s TED Talk, and I loved how she tied brain research into behavior, and I was hooked. I will let you do your research here.. but research you should do! When I think about working out – 5, 4, 3, 2, 1 – Move …. as opposed to my current state of I will do it later. When I think I need to make dinner – 5, 4, 3, 2, 1 Move .. as opposed to I will in a few minutes, and an hour later I order pizza. When I think I should submit a conference proposal- 5, 4, 3, 2, 1 Move – instead of I need to think about it more before I do it. When I need to make a decision about an event – 5, 4, 3, 2, 1 Move – instead of saying I might go, and eventually finding a good reason not to. When I am asked to meet with/ work with vendor – 5, 4, 3, 2, 1 – Move – Now move here means make a firm decision now .. not always say yes. While I need to ACT, I do NOT need to always says yes. Learning to say NO is crucial when NO is what needs to be said. So 2018 – I will ACT! I will move and shake and be sitting here a year from now a very different person. Take a look at what hooked me on this path with this short video. This is what has led me to watch and learn more about this simple metacognition rule for success. I love this word! So powerful in so many ways! Thank you! I agree. It will motivate in so many ways! I need it to be visible everywhere!